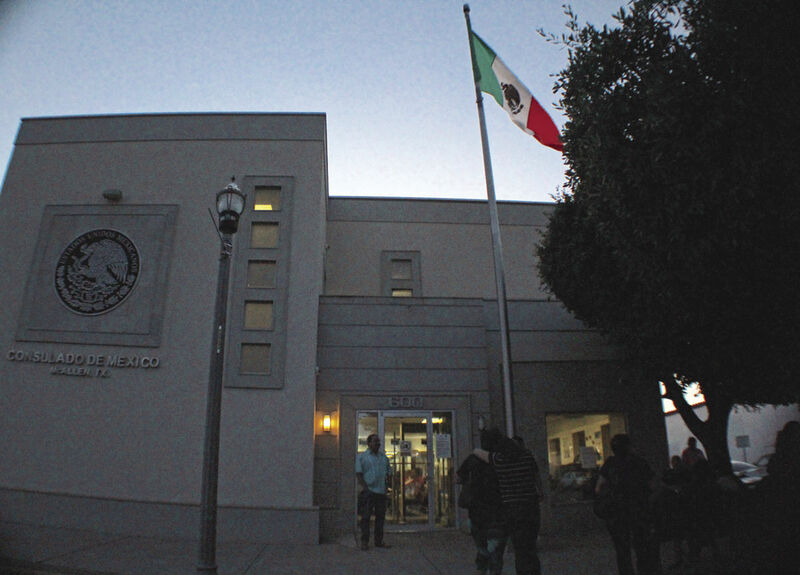 Mexican citizens living in the McAllen area waited into the evening Saturday to register to vote at the Mexican Consulate in McAllen. 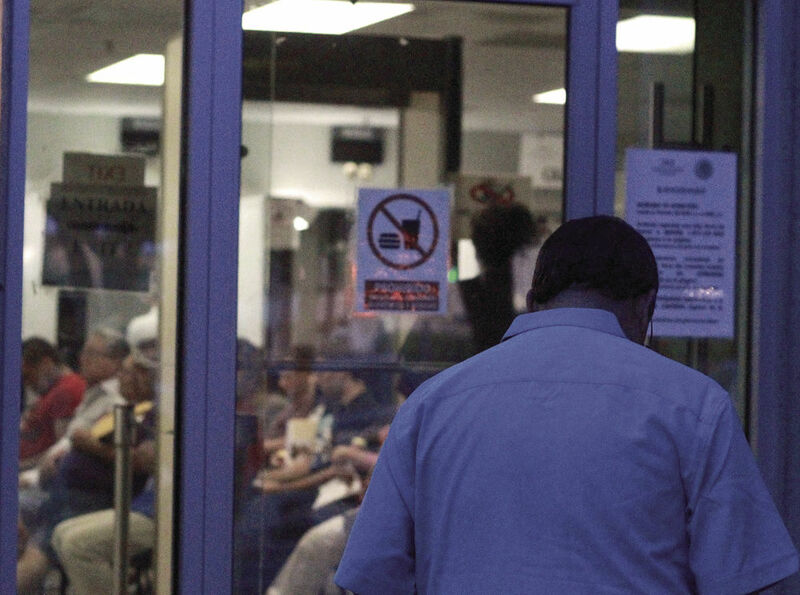 McALLEN — As the sun was setting and downtown McAllen began taking on its familiar Saturday night atmosphere, about a dozen people waited outside of the Mexican Consulate here in hopes of registering to vote in the July presidential election. More than 300 people were processed Saturday, of which 237 were able to register, the consulate reported. It was open from 8 a.m. to midnight solely to register voters. Anyone missing the required documents — birth certificate, photo ID and proof of residency — was unable to register that day. Although they can register at a later date, they won’t receive an absentee ballot by July 1. Lulis Pi, a Mexican citizen and longtime McAllen resident, only had her Mexican passport with her. She claims her original birth certificate was taken upon receiving her passport. Mexican nationals living in the United States can register to vote in their country’s elections, so long as they have the necessary documents. This was the first year, however, that they could register from outside Mexico to cast absentee ballots. “It’s a right that you have as a citizen, no matter where you are,” Bernal said in Spanish. Up to 40 people could wait at a time in the consulate’s lobby, and the process took at least a few hours, but for those who didn’t schedule an appointment, it was much longer. One man walked into the lobby and was angered after being told to come back later that evening. Lopez-Obrador is leading the presidential race, despite several unsuccessful runs in previous elections. His name quickly became a source of contention among the impatient crowd. Gutierrez said he was kidnapped several years ago in Mexico and held for ransom for 12 days. After that experience, he said he decided to stay in the United States. Such stories were exchanged outside of the consulate. Despite this, he still found himself outside of the Mexican consulate late Saturday night, hoping he’d be able to register before the midnight deadline. He’s never missed an election. “Why do I vote? I do it for my personal conscience,” he said. “But at the end of the day, I don’t think things are going to change.